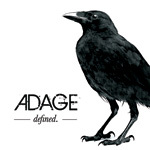 Adage is another band throwing themselves into the current fray of heavy alt and indie rock bands, maybe even the crowded radio rock scene that has given us Seether, Three Days Grace, among others. 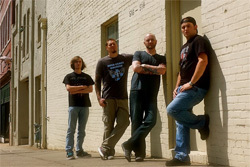 Coming from North Carolina, the band has the natural elements of modern rock including ambitious heavy d-tuned riffs, reminding of metal, yet with intentional melody, vocal harmony, and a few guitar solos. The latter three are the surprising characteristics of the band, the first not so much as having heavy down-tuned riffage is rather derivative of many bands these days. The strength of Adage lies with Justin Doyle's voice; he's clear strong and passionate. When combined with their surprisingly keen sense of melody, it makes the incessant riffage more palatable. While the wall of riffage is ubiquitous and seemingly redundant, Adage can back down from it with songs like Growing Colder and By Myself, both straddling the fence between anthem and ballad. Curiously enough, in the modern rock context, guitarist Luke (somebody) can do more than spew chunky chords from his instrument; he can actually deliver a solo or three. They're mighty within Best Of and By Myself, adequate and muted within Hold On and Growing Colder, and basically absent in Anymore. Ultimately, Adage's song formula works and will likely keep working for them in the alt/indie modern heavy rock context. Whether their music will set them apart from or rise above their current peers is anyone's guess. 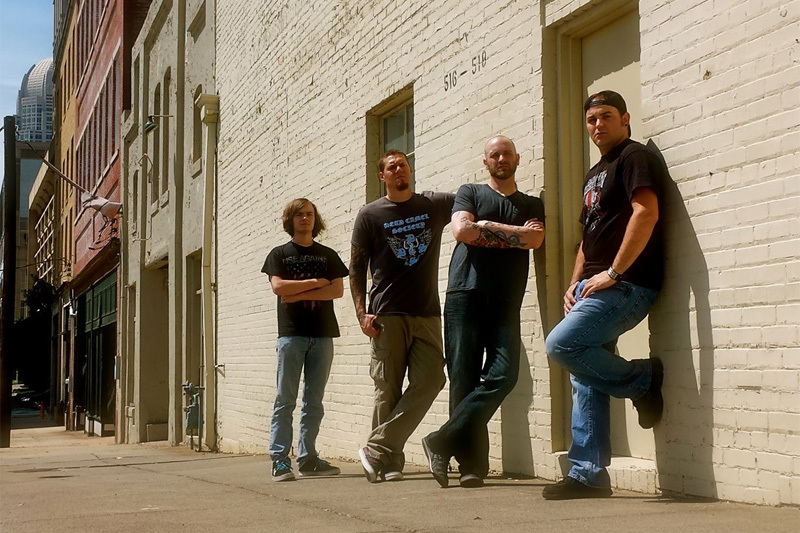 As if there isn't enough out there already, Adage offers us more modern d-tuned heavy rock, but with clean passionate vocals and a surprising sense of melody amongst the heavy riffage.